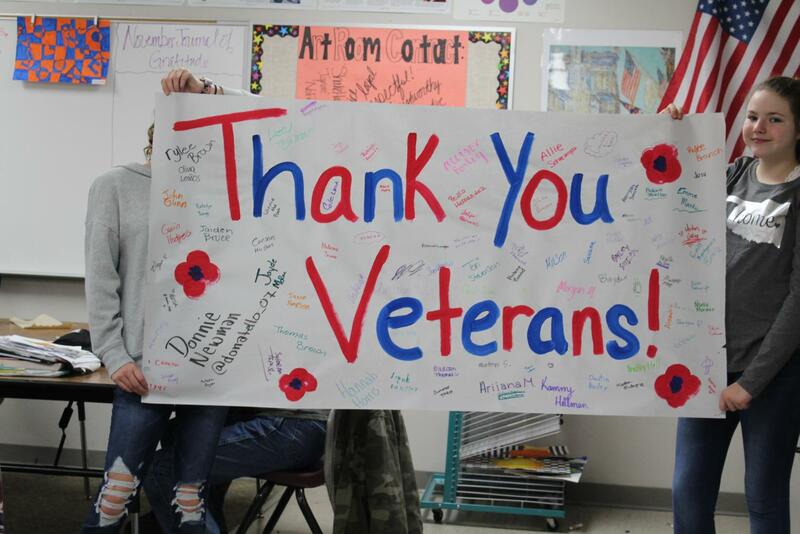 Art students show off the banner created for Veterans Day. Duncan Middle School is having a Veterans Day assembly for students, teachers and area veterans. The event is set for 1 p.m. Friday at the Duncan Middle School. Students will check into sixth hour before being dismissed for the assembly. “Most people are coming from the Biker Church from around town,” Sherry McGhghy, Title I teacher, said. MgGhghy, who is also the National Junior Honor Society sponsor, spent time planning the event. She said the program is a way to celebrate Veterans Day and veterans. 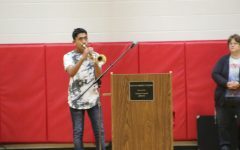 The assembly is an annual project for Duncan Middle School. In the past, veterans have talked to the middle school students and cannons have been fired.